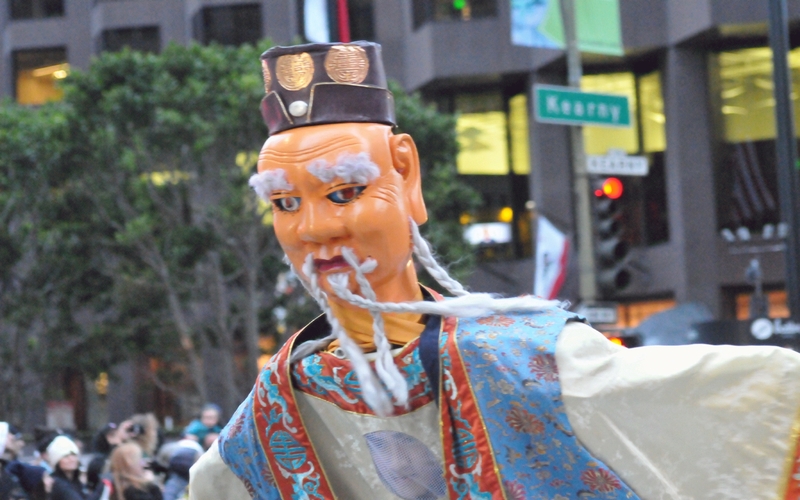 A wise fellow, with braided mustache and beard, performed as part of the Southwest Airlines contingent. 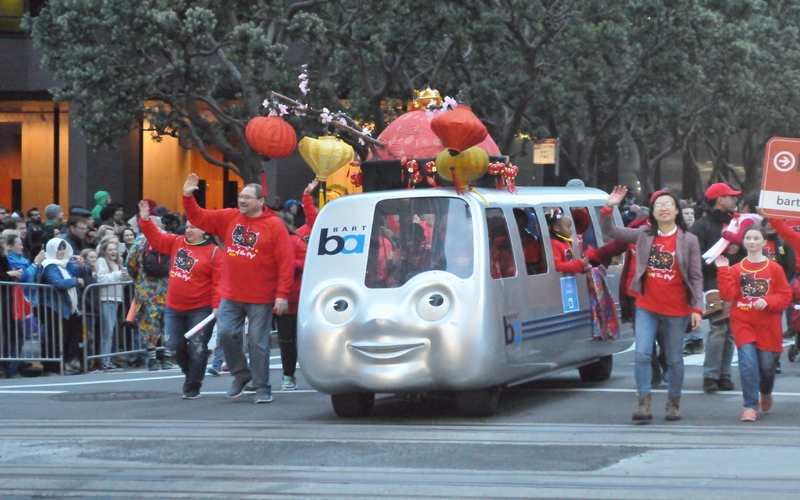 A Bay Area Rapid Transit (BART) district parade car was decorated to appear Chinese. 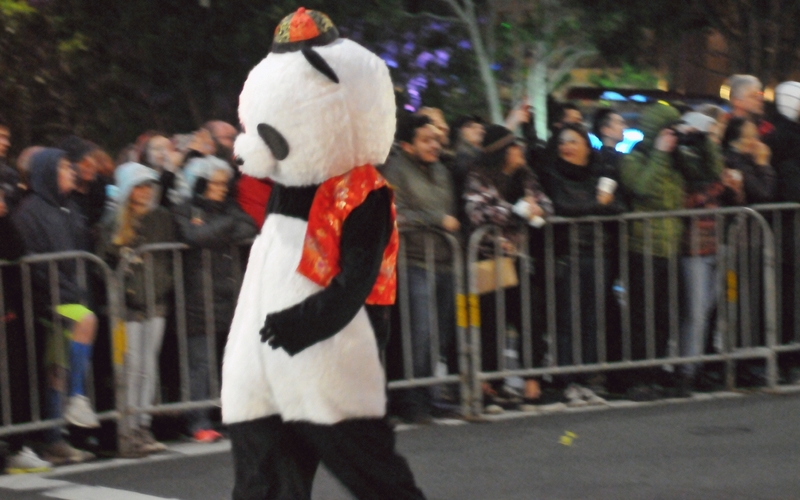 A person wore a panda costume, the panda wearing a Chinese vest and hat, as part of the Yick Wo Elementary School contingent.